Culberson is among national Democrats' top three targets in Texas this fall. *Editor's note: This story has been updated to reflect a statement from Culberson's campaign. Pence will headline a fundraiser for Culberson on Aug. 23 in the Houston area, according to an invitation obtained by The Texas Tribune. The invitation for the breakfast event bills Pence as a "very special guest." Attendees can pay $2,700 each for general admission or $12,700 for a "photo opportunity and preferred seating." The money will go toward the Culberson Victory Committee, a joint fundraising committee that splits its proceeds among Culberson's re-election campaign, the Harris County GOP, Culberson's leadership PAC and the National Republican Congressional Committee. Culberson, who's being challenged by Houston attorney Lizzie Pannill Fletcher, ranks among national Democrats' top three targets in Texas in November. Fletcher raised over $1 million in the second quarter — more than double Culberson's haul — though the incumbent maintains a healthy cash-on-hand advantage. Culberson's campaign said he is "thrilled to welcome Vice President Pence to Houston." 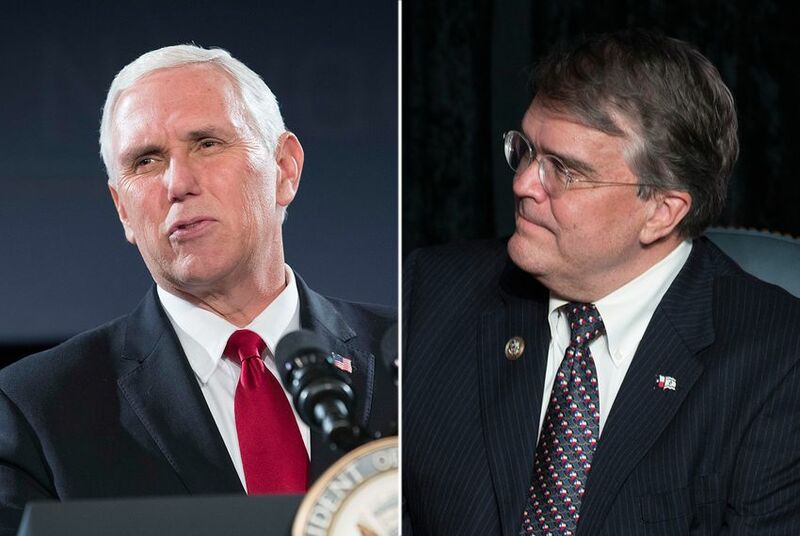 "The Congressman and Vice President have been friends since they were first elected to the House together in 2001, and is sincerely appreciative of the help he’s offering for the congressman’s re-election campaign," Culberson spokeswoman Catherine Kelly said in a statement.